Unknown1:28 PM 4 sweets for free! Then, I discovered this new program from a friend who taught me the ways. I realized, the most effective way to lose weight is to target your metabolic rate. No matter how calories you take, it won't matter if your metabolism is slow. In fact, starving yourself or restricting your calories could make your metabolism slower. This is just a disclaimer to tell you what kind of lifestyle program I am in before I tell you about my MySlim review. I just started doing this early May 2015 and I lost 10 pounds in one month. All I had to do is give up sugar, starch and bad carbs. A lot of people, though wanting to lose weight, are not willing to give up on these. It actually takes will power and commitment to do this and to achieve great results. Carb Cycling is alternating low-carb and high carb days in a week, plus one cheat day (mine is Sunday). High carb day would only allow good carbs (slow-burning, low GI carbs - so yeah, still no rice). I combine this with at least 3x of gym time a week. This is where MySlim Capsules and MySlim Yerba mate comes to a good cause, it complements my lifestyle program and when I learned about this product I got excited because of the many features it has all in one capsule and all in one drink. This is the book that you can read if you want to know more about Carb Cycling. It worked for me and I highly recommend it. These capsules came in handy. I said I gave up on sugar, starch and carbs but sometimes, you can't help but eat them especially when you are really starving and you don't have any food choices, you are traveling and it's hard to prepare food according to your diet, or you're out on a date or dinner with friends and family. You can't kill the moment and just say, "no I can't eat that!" So in those times, I always have MySlim Capsules with me so that I can block the carbs from being processed. I am actually aware that these 4 ingredients help boost metabolism and burn fat individually. I was so pleased and excited to hear that these are all in one product! It is recommended to take one capsule, two times a day after meals. 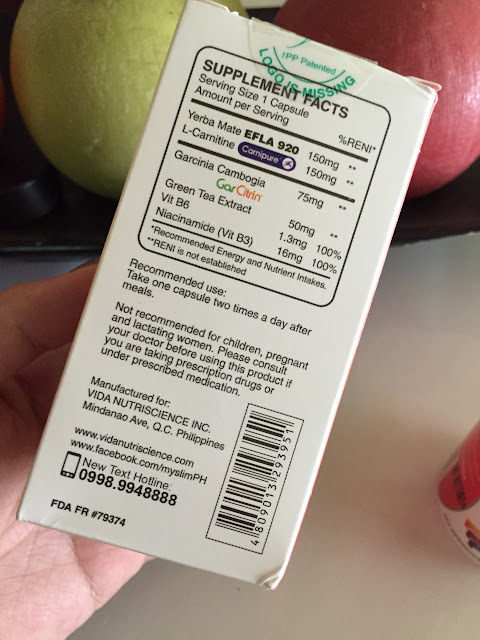 It is not recommended for children, pregnant and lactating women. Please consult your with your doctor before using this if you are taking prescription drugs. Yerba Mate drink gives you twice the fat burning power with Yerba Mate (Finomate) and hi-grade L-Carnitine (Carnipure) in a sugar-free drink with Palatinose. It claims to burn fat the whole day while balancing sugar levels and bringing up your energy. It is recommended to drink this in the comforts of your home 1-2 bottles a week. This bottle is very helpful if I drink it during my cheat day! I drink it at night after I ate already so many things. The next thing I wake up, I have the urge to go to the toilet, I weighed in again and I only gained about 0.5 - 1 lbs after binging out. When I say binge out I mean really eat till the food is up to my throat kind of binging! I have been taking them since I arrived from Korea and on my first cheat day back (May 31). 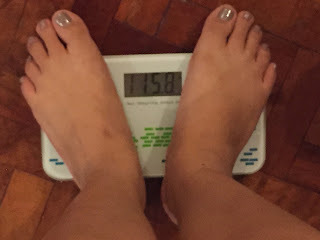 Here is a photo collection of my weighing scale as I track my progress. Again, I am doing Carb Cycling program plus, MySlim capsules and Yerba Mate. I got lazy to document the other days... jump to recent weight. Weighing down is not actually my goal. My goal is to feel more fit and good. To fit nicely with clothes, to feel awesome! I just weighed myself so that I have a basis on how I am losing pounds with this product. I am also building muscle mass while losing stored energy (a.k.a. fat). So if I just look at weight, it might not be accurate. A more accurate measurement is to get your muscle mass, you can have this done in your gym if they have the equipment. MySlim Capsules and MySlim Yerba Mate drink works for me and it complements the current lifestyle program I am in. Again, if you are worried about any side effects, allergies or dangers of trying this product, just consult a doctor and make sure you are not taking medication that would react to this. Otherwise, this product did a great job for me! You may not have the same result as I have, but again this will work best if you have your own diet/lifestyle program. There is actually a tendency for me to feel tired and fatigued when I do carb cycling because my body keeps on burning fat, sometimes my body overheats. I just need to shower and drink cold water. 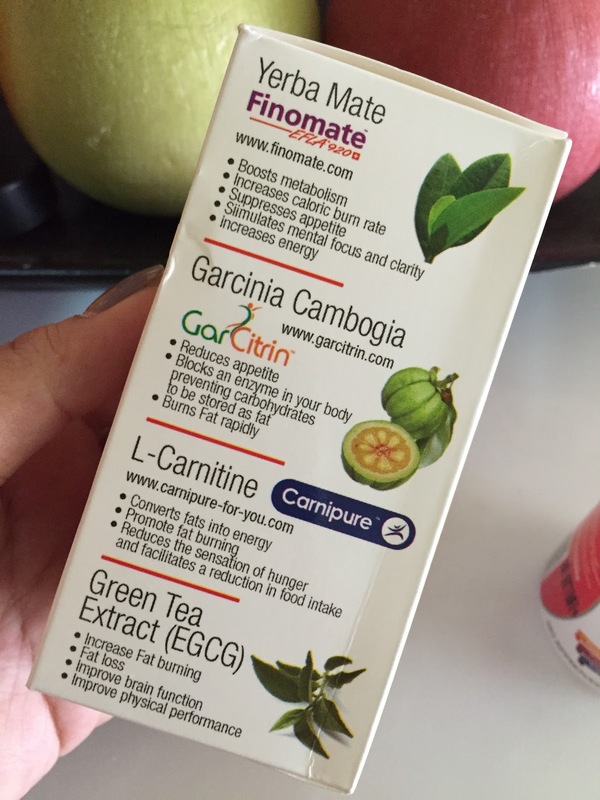 But with Yerba Mate, Green Tea extract and L-Carnitine, plus the carb-blocking powers of Garcinia Cambogia, it allows me to use my stored energy efficiently. This may be one reason I was able to attend the Yanis Marshall dance workshop for 6 hours straight! 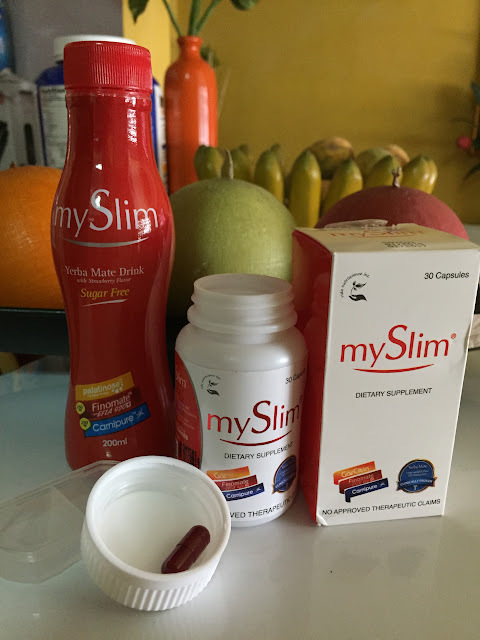 In a way, MySlim not only gave my physical benefits, it also made me more energetic and more outgoing towards my daily activities. Is it safe to drink while on contraceptive pills? how do you do metabolic hack ? omg i love yanismarshal how much and where did u take his classes?? Uk? ?